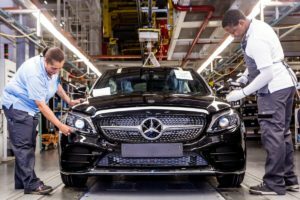 CEO of Mercedes – Benz South Africa & Executive Director of Manufacturing: Andreas Engling states that since their first production of the C- Class in 1994 they never looked back in producing excellence from the east London plant. 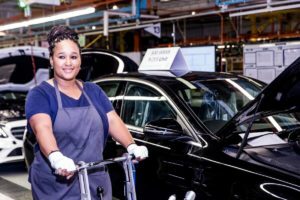 We can without a doubt see that producing their 500 00th unit of the W205 model reaffirms their commitment of excellence and ripple effect their operations have on the economy of East London. Andrea Engling futher said “This achievement also follows the R10 billion investment into the expansion of the plant to equip it for the future”. Shout out to the the first customer ready W205 vehicle that shined out their production line on the 01st of march 2014, marking the beginning of a new era for the six time JD- Power award – winning Plant. Sithi Halala East London Plant for setting the bar high as the positive development’s numbers increased and steady increase in production volumes with a great number of units produced for the domestic market, and exports to more than 80 markerts around the world. The W205 models enabled the East London plant to produce several variants of the C- class including the Mercedes – AMG C 43 4Matic, Mercedes – AMG C 63 S and the C350 Hybrid. The Obsidian Black Mercedes – Benz W205 C – Class is the 500 000th unit, which is a right-hand drive automatic C200 full roof sedan which will be exported to the United Kingdom. 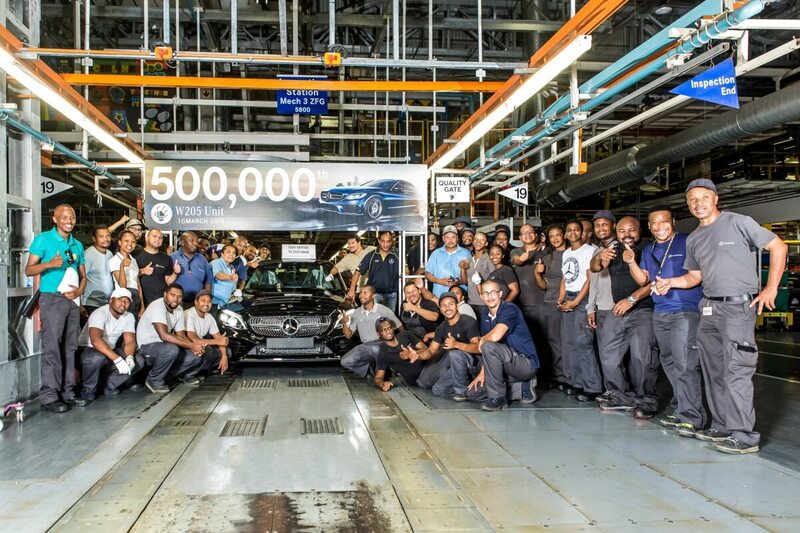 Job well done To the Mercedes Benz South Africa, East London, South Africa plant.